The failure of the smoke ventilation system to help firefighters evacuate Grenfell Tower is not an indictment of the way we design, specify and manage smoke control systems in the UK. The Grenfell fire was unprecedented and no smoke control system would have been able to cope with the extraordinary circumstances caused by a fire spreading so quickly up the outside of the building. Neither, for that matter, would sprinklers. Fire will spread very rapidly up any building wrapped in highly flammable plastic with air gaps or chimneys all the way to the top. Once the fire was racing up the cladding, all active fire protection measures were outside of their design parameters. That does not mean, however, that the fire and smoke control industry has nothing to learn from Grenfell – particularly around how systems are procured, commissioned and installed – but it would be completely wrong to use this extraordinary incident as a reason to abandon our current standards and technical approach. An interim report by Arup fire engineer Dr Barbara Lane, which was commissioned by the Grenfell inquiry team, produced some useful insights, but it also left a number of important questions unanswered. For example, she stated that the installed system was not compliant with the building regulations, but did not say why; she revealed that the original supply and extract system designed by Max Fordham was changed, but it is not clear why or by whom. Dr Lane also established that the system may not have been properly commissioned. Why not? Why are there no testing and service records for the system as required by the Regulatory Reform Order? Did the control cabling (which should have been fire rated) survive the fire – if not, why not? And why was the system so difficult for the fire brigade to operate? • Early planned evacuation of vulnerable occupants should be a consideration and again the ability to communicate is critical. As more evidence emerges, hopefully many of these important questions will be answered. Dr Lane has, however, clearly established that the fire safety measures at Grenfell were designed for a single fire on a single level and therefore “could not have protected lobbies and the stair from smoke generated by fire on multiple levels”. Nearly all active fire safety elements are designed on this basis – as stipulated in Approved Document B. It appears, therefore, that there was no problem with the design intent, but there may well be problems with what was actually installed. Why were there so many deviations from the original design? This goes right to the heart of the systemic problems highlighted by the Hackitt Review including the need to establish professional competence at all levels and cease the unedifying “race to the bottom” that compromises so many building services designs. Some observers have suggested that using a pressurisation system would have provided better protection to the Grenfell residents. However, pressurisation would not have been a viable solution because it depends on maintaining pressure in the staircase, which would not have been possible with so many doors open. 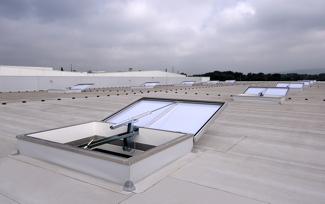 Most pressurisation systems also operate with the air intakes on the roof. The images of Grenfell show the fire completely enveloping the roof space, which suggests that the only pressurisation system likely to be of benefit would have been one with the intakes arranged on the lower floors of the building. 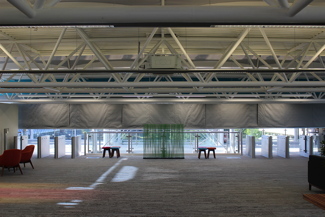 Pressurisation can work well in high-risk buildings as it offers greater protection than other forms of smoke control, but should be designed to the appropriate European standard and not the simplified National Fire Protection Association standards developed for the US and widely used in the Middle East, which some are proposing should be adopted here. In fact, it is extremely important that the UK industry recognises it does not need new forms of regulation or new building codes. What we need is better enforcement of what we already have. This was clearly identified by the Hackitt committee and highlighted in its report. Hackitt also stressed that the industry needs to improve its delivery of projects by investing in competence. Part of being competent is to recognise when you are out of your depth and this is particularly true when it comes to safety critical systems. If an engineer does not have the technical expertise to deliver a system that meets the design intent, they should employ someone who does. For Grenfell’s legacy to be safer buildings the inquiry needs to stress the importance of correct installation of both active and passive fire protection measures and the avoidance of ‘value engineering’ out critical elements of any life safety design. As part of the ‘performance based’ regulations proposed by Hackitt, a competent engineer should be engaged to review any changes that affect the fire safety strategy during construction and refurbishment. Also, system design and performance should not be allowed to deviate from specification without full consideration of the implications; and, above all, cost should never be the prime motivator when it comes to life safety.